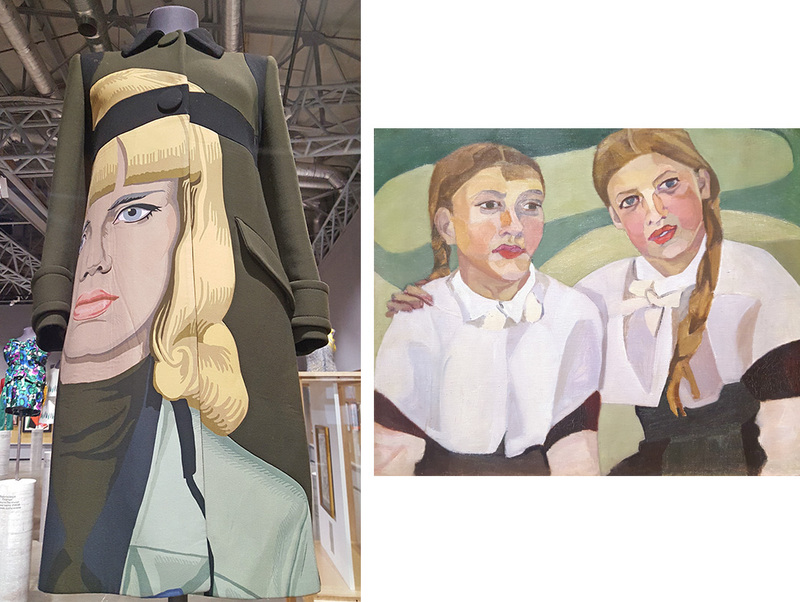 The masterpieces of Russian avant-garde artists greatly resemble some clothing pieces by the world’s leading fashion houses, including Prada, Valentino, Loewe, Marni, Celine, Diana von Furstenberg, and the Russian brand Walk of Shame. 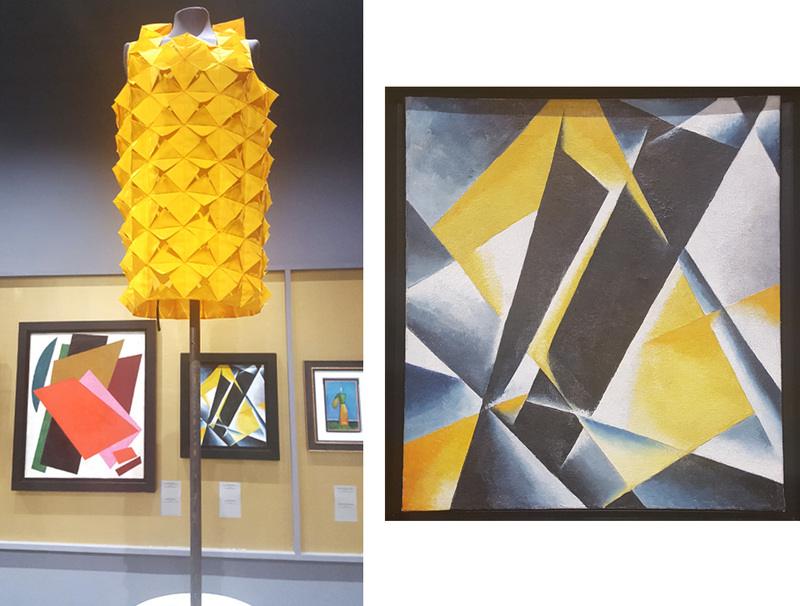 / J. W. Anderson, Cruise collection 2016; Olga Rosanova, Abstract composition, 1916.
Who knew that Chloe, Valentino and Prada dresses were inspired by Russian avant-garde? 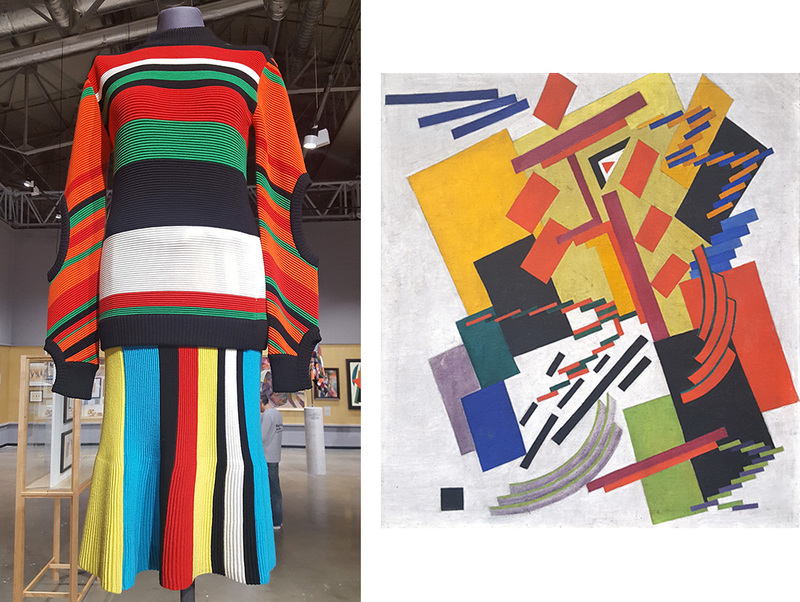 The Jewish Museum and Tolerance Center in Moscow presents the exhibition “Time Effect: the Influence of the Russian Avant-Garde on Modern Fashion”. 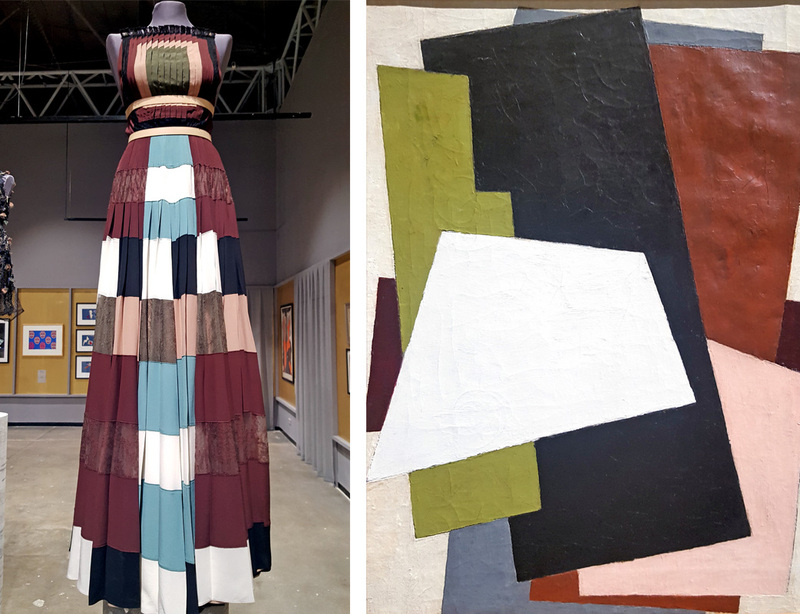 / Valentino, Spring-Summer 2016; Lubov Popova, Painterly Architectonic, 1917. A century separates the art from the clothing, but the avant-garde motifs used in fashion look sublime and modern. / Tata Naka, Spring-Summer 2016; Ksenia Ender, Dynamics of Geometric Spheres, 1918. 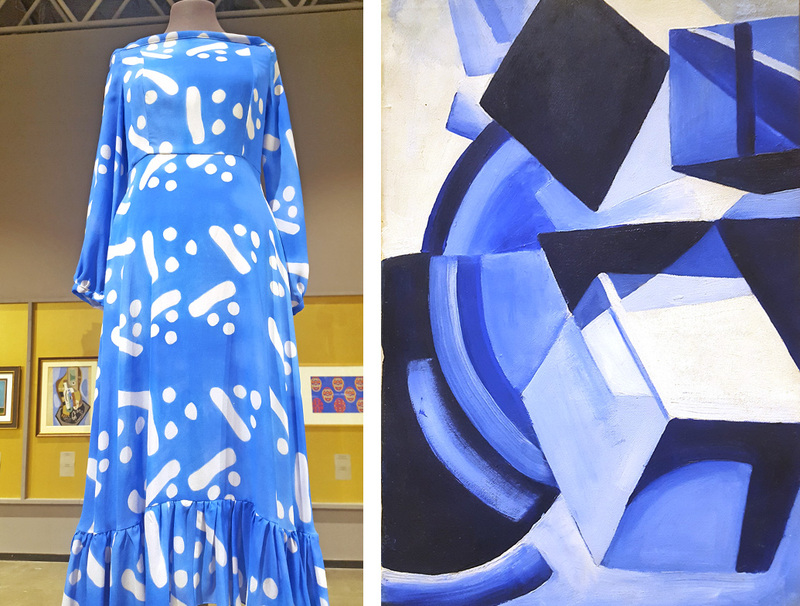 The exhibition unites more than 100 exhibit items – ready-to-wear dresses by famous designers alongside paintings, graphic works, porcelain and other pieces by the most important artists of the Russian avant-garde from the museum and private collections. 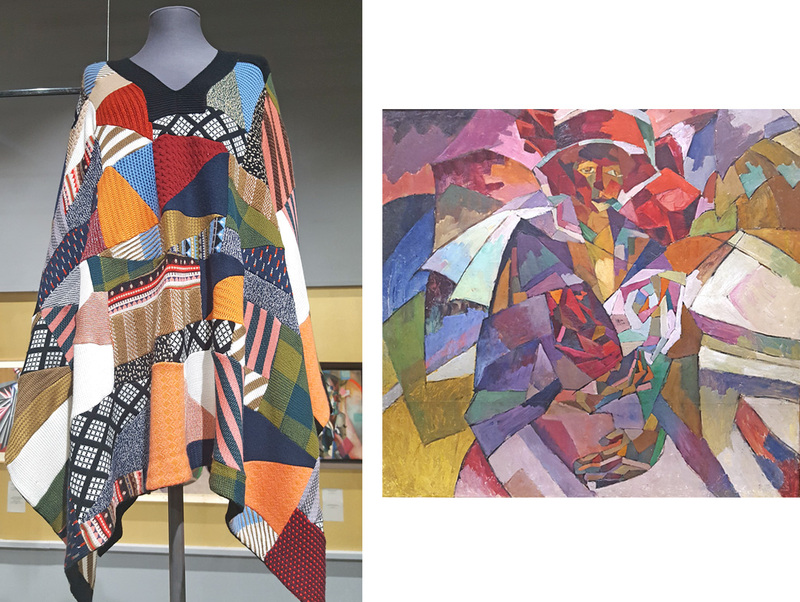 / Prada, Spring-Summer, 2014; Aristarkh Lentulov, Portrait of Two girls, 1911. Starting in the 1960s, designers became transfixed by the graphic simplicity of avant-garde art. They adopted the movement’s trademark geometric and abstract shapes, two-dimensional designs, and multiple perspectives. / Walk of Shame, Fall-Winter, 2016 - 2017; Ilya Chashnik, Decorative Sketch, 1920s. 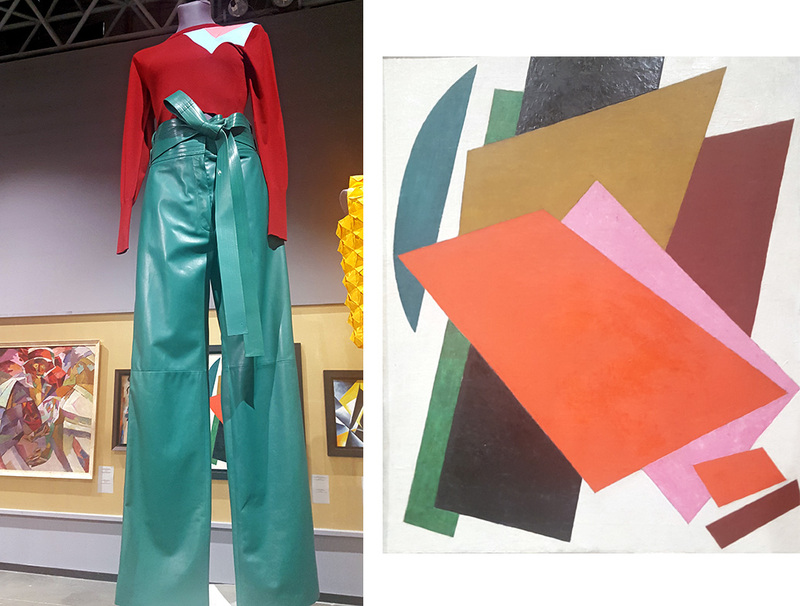 The exhibition looks at the history of art through the works of the leading fashion houses, which use Russian avant-garde artists’ colors and patterns and often borrow recognizable shapes, decoration details and ornaments. / Chloe, Fall-Winter 2015-2016; Aristarkh Lentulov, Portrait of M. P. Lentulova with roses, 1913. Over the course of history the figurative arts have served as a tool for studying the history of dress. The heritage of painting, graphic art, and photography gives an insight into the evolution of ceremonial, military, working and other clothes from different epochs. / Loewe, Spring-Summer 2016; Lubov Popova, Painterly Architectonic, 1916 – 1917. The exhibition runs until 4 September 2016 at Jewish Museum and Tolerance center (11/1A Obraztsova Str, Moscow). 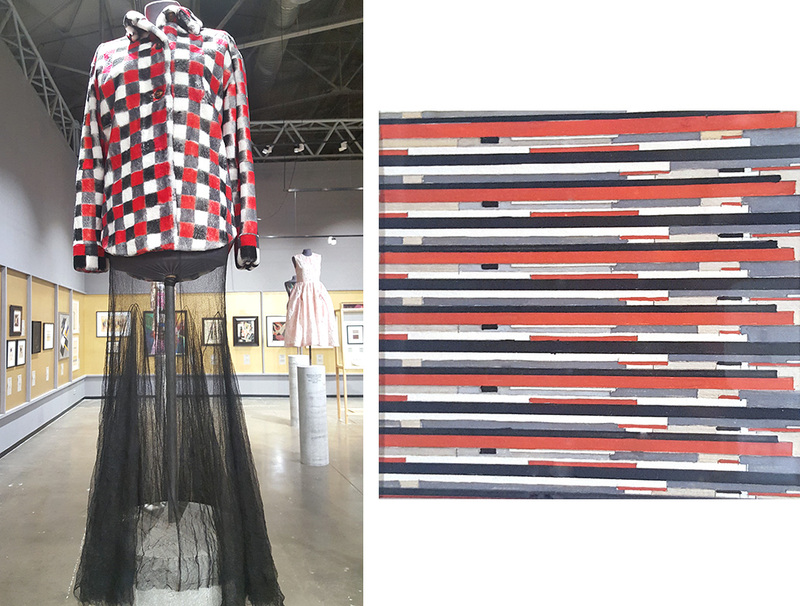 / Junya Watanabe, Spring-Summer 2015; Lubov Popova, Painterly Architectonic, 1918.